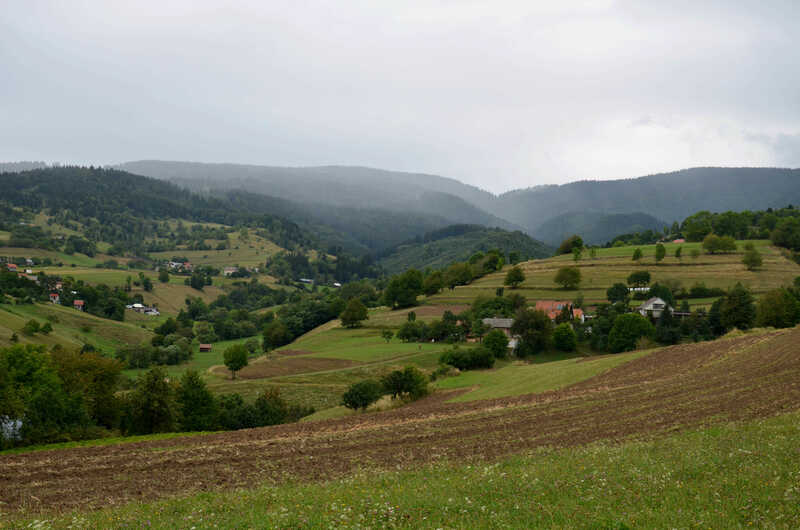 Hriňová is one of only a few municipalities in Slovakia, where the land wasn’t collectivised during the era of communism and no agricultural cooperative was established. The hilly terrain would make it difficult for the land to be industrially cultivated and therefore remained the diversified fields in the private ownership of individual residents. It feels almost like entering a different world, where the patchwork of field creates a beautiful scenery. I arrived in August and was told, that I already missed the main season, when the fields are even more diverse and colourful. Small fields do not only create a positive visual effect, but also deal with many environmental issues. The terraced fields have the ability to store water and protect the soil from erosion. Green boundaries create the bio-corridors and so the animals can easily move around. Agricultural products from Hriňová are usually sold to retailers, or informally traded through friends and family. This includes mainly vegetables, crops, fruits, nuts, honey, milk, eggs, meat and secondary products such as fresh cheese. Sometimes the best solutions don’t need to be newly invented. Instead, we can rather learn from experience tested over the centuries.